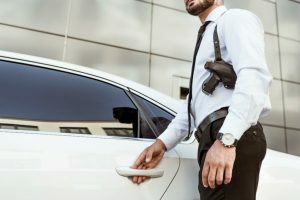 When taking a trip to the gun range to get some target practice in with your favorite firearms, it can be easy to think you don’t need to bring your own shooting range gear. All the gear you need will be there and available to rent, right? While this may be true for some indoor ranges, it’s unlikely an outdoor range will have the necessary gear available. The same is true for actual gun clubs. This is just one of the reasons why it’s best to pack your own range bag before making a trip there. There are plenty more as well that this article is going to discuss. Not only that, but we’ll recommend what specific items you should pack in the way of safety, actual shooting gear, and firearm maintenance. Read on to see what you should consider getting to build the ultimate pack and get the most out of your shooting range experience. Many people figure that a range is a controlled environment where little could go wrong. Yet every time a gun is fired there are certain hazards outside of the obvious. 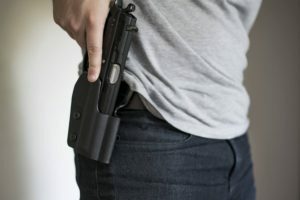 Even if you see others neglecting proper safety measures when shooting, be a responsible shooter and make it a priority. 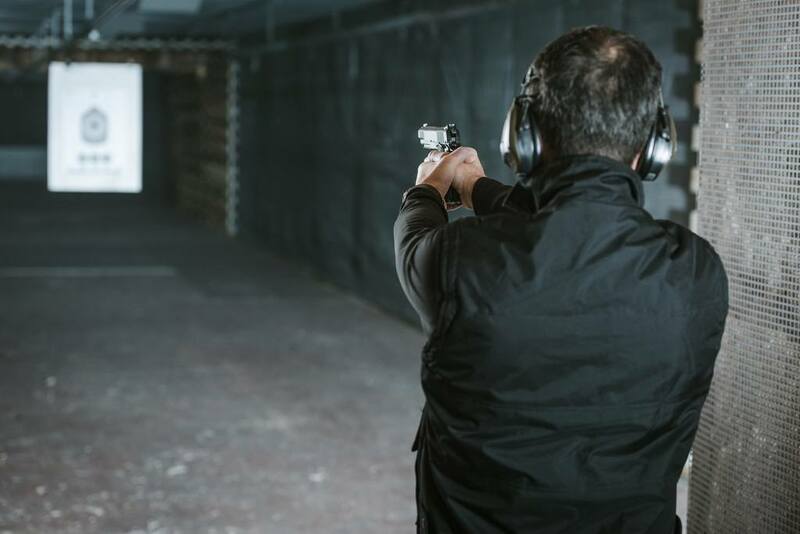 Though shooting at a range lessens the risk of an accident happening, it doesn’t completely remove it. One of the best ways to truly minimize this risk is having the proper shooting range gear for safety in your range bag. Make sure to pack the following safety items. Shooting glasses should be considered a necessity no matter where and when you are out shooting. These protect your eyes from different harmful factors that could arise when shooting. One of these is muzzle flash, which is the visible light produced by the combustion of high-pressure, high-temperature gases and remaining unburnt powder when it mixes with the air. Not only should you always have a pair on when shooting, but they should be the right pair for you. So, while a range may have glasses to buy or rent, they may not be the ideal fit. Your eye protection needs to be able to stay on, even during your gun’s recoil, or kickback. Poorly fitting glasses could easily become dislodged right after shooting your firearm–when you need them most. Noises at and above 85 decibels are considered harmful to human hearing. The higher the decibel rating, the less time your ears need to be exposed before permanent damage occurs. Most firearms produce noise in the 140-175+ range. The importance of ear protection, especially when at the range where many others will be firing guns of various calibers as well, is obvious. Make sure to check the noise reduction rating (NRR) of any ear protection you’re considering purchasing to make sure it will sufficiently reduce gunshot noise to levels that aren’t going to cause permanent hearing damage. Like eye protection, properly fitting ear protection is also extremely important, and for similar reasons. 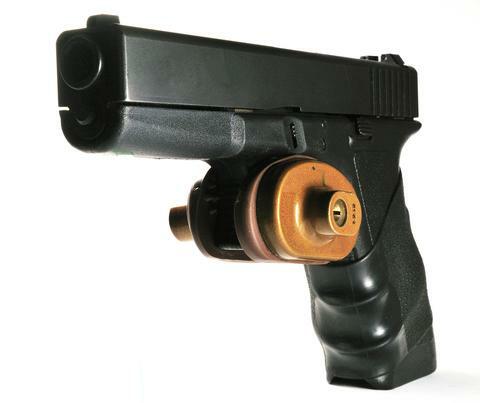 Just the same, your gun’s recoil could knock your ear protection off if it’s poorly fitting. All shooting ranges should have sufficient first aid kits in case an accident does happen. Still, of all things, this is not one to leave to chance. 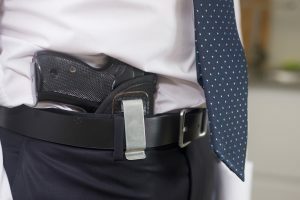 Another great way to take the initiative as a prepared, responsible shooter is to pack a small trauma kit, also known as an emergency personal injury kit (EPIK). 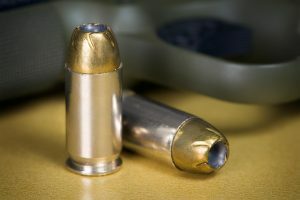 While most ranges do have many different types of ammunition you could buy, it could very well be much more expensive than sourcing your own. This is especially true if you collect and reload your own ammo. Another benefit is that it allows you to know exactly the quality of ammunition you’ll be using in your gun. 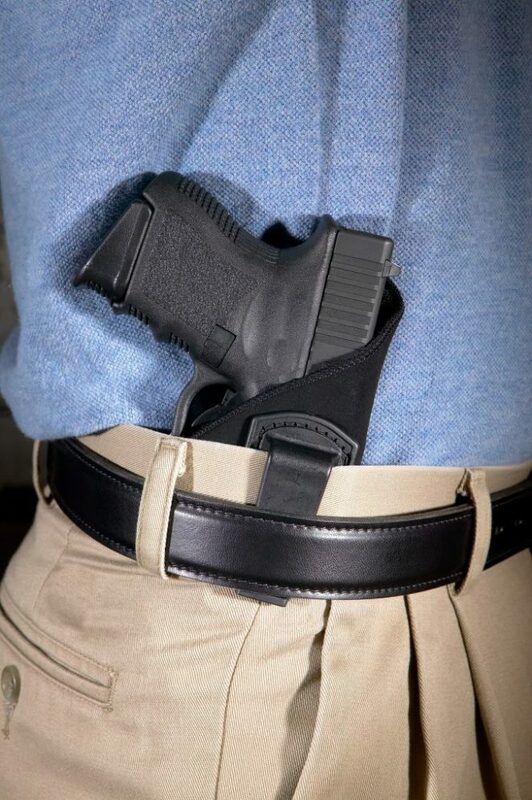 A quick tip for your shooting range bag–always keep your ammo out of and separate from any pistols you may be carrying in your pack. Another thing to pack in your shooting range bag that could save you money is bringing your own targets. Different types of targets are best for different firearms and shooting purposes. If you’ll be bringing your own guns to the range, it’s best to pair them up with the right targets. If you’re a hunter and are getting some practice, shooting before the season starts, you might want to pack some X-ray animal targets. These let you practice dialing in on the perfect kill shot when out in the wild. 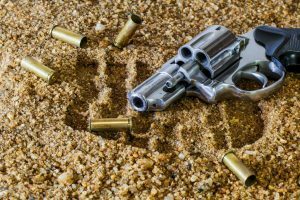 What happens if your gun malfunctions at the range, or you’ll be there for an extended shooting session and you want to keep your gun clean? Will the range have the gear needed to service your gun? Will it be of the quality you’d use when treating your firearm? Possibly, but it’s another factor best not to leave to chance. 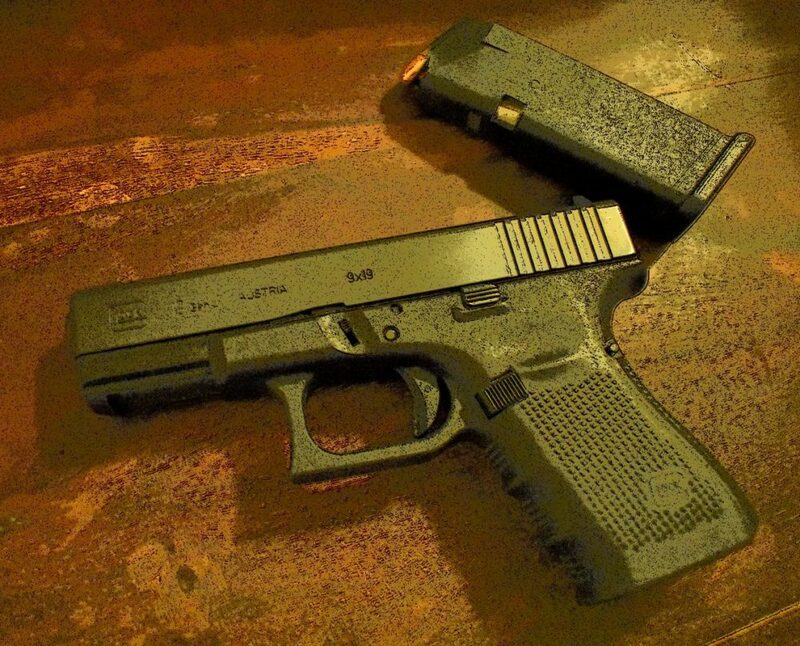 Clean guns make for better shooting and longer lasting firearms. A trip to the shooting range should be relaxing and exciting at the same time. It should be fun and lead to a sense of accomplishment as you improve a valuable skill. This experience could quickly be ruined by failing to pack the proper shooting range gear. 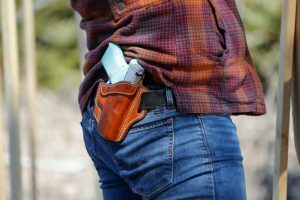 Make sure to keep the above-mentioned items in your pack, and always check your bag before leaving for the range to see if you need a restock on any of these. For more tips on being a responsible shooter and getting the most out of each range experience, check out our tips and tricks blog section.